Photo Credit: Julie Dennehy. Thank you to King Richard's Faire for providing press passes for our family and for providing a pair of tickets for our contest prize. All opinions expressed are my own. Over the course of two years, our family has attended King Richard's Faire in Carver, Massachusetts three times and plans to make our fourth trip this year. All five of us are excited to make new fond memories at the 33rd annual King Richard's Faire during opening weekend, which is August 30th to September 1st (Labor Day weekend!). You can see overviews and photos of our past visits here. Even though we've been to the Faire three times already, we still have not seen every show, gone on every ride, visited every single one of the artisan shops, or tasted all the Renaissance faire food. Each time we go, we look forward to experiencing something new, as well as re-experiencing some of our favorites. Our daughter has already asked if she could attend Princess School again. Our boys can't wait to watch at least one of the jousting events. I know my husband is anxious to face off with his arch nemesis, the Giant Stryker, again. The whole family is very much looking forward to seeing Jacques Ze Whipper for the fourth time. We can't go to King Richard's Faire without seeing his show! And of course, we all love shopping for unique souvenirs to commemorate our visits. My husband has been wearing his chainmail bracelet for two years now. Things you should know about King Richard's Faire . . .
Sunday, August 31st is Military Appreciation Day! All military personnel will get free admission by showing their valid military ID. There are special events or contests scheduled for every weekend after opening weekend (September 6th thru October 18th). King Richard's Faire also offers special events for your special occasions, such as birthdays for adults and children, marriage proposals, bachelor and bachelorette parties, weddings, and anniversary celebrations. A few of the shows are PG-13, so be sure to ask if a show is appropriate for young children before sitting down to enjoy it. You can stay up to date on Faire news, including rain dates for special events, on the King Richard's Faire Facebook page. The Faire is open on Labor Day and on Columbus Day. Before heading to the Faire, check the Entertainment Schedule. Make a note of the times and locations of shows you don't want to miss, but try not to schedule them back to back so you and your family are not stressed out about keeping up with the itinerary. Tickets are $29 for adults (12+) and $16 for children ages 4-11 and are available for purchase now on the King Richard's Faire's website or at the door. Children under 4 are admitted free of charge. Take a peek at the fun waiting for you at King Richard's Faire . . . 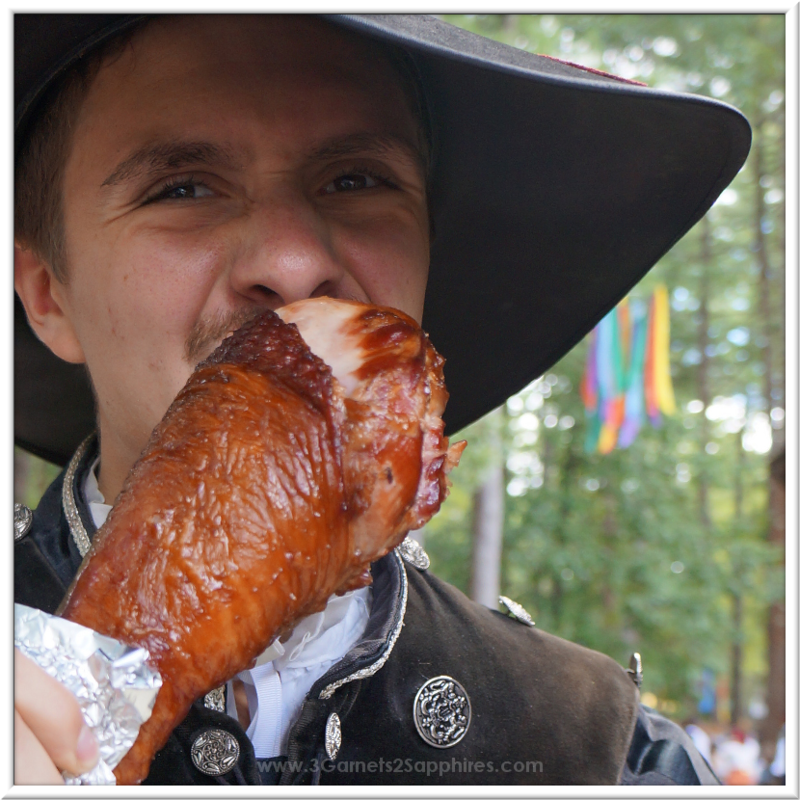 Follow Julie Dennehy's board King Richard's Faire - Fan Photos on Pinterest. I'm thinking of trying my hand at shooting a crossbow this year. How about you?